Few transactions match the financial or emotional highs of moving home. The sums involved almost certainly represent the single biggest financial decision you are likely to make. Add to that, the need to deal with solicitors, surveyors and mortgage lenders and the whole procedure can become a little daunting. Whether this is your first property sale or you are well practiced in the property market, our informative and up to date guide below will ensure your property sale is as smooth as possible. Once you have decided to sell your home, the aim should be to sell it at the best possible price in the shortest possible time. Since 1989, we have maintained focus on Sittingbourne and the surrounding North Kent areas, giving us unrivalled knowledge and experience of property values in the area. If you would like to arrange a free valuation of your property with no obligation, simply complete our valuation request form or call us on 01795 429836. So, you know the value of your property - the next stage is to appoint the Estate Agent that you feel can ensure the right buyer is found for you. That Estate Agent should be able to ensure that every stage of the sale from initial appraisal of your property to the eventual move runs as smoothly as possible. How your property will be made available to any potential purchaser - How well will the agent present your property? Where do they market properties? What is the quality of information given to potential buyers? If the agent will be able to offer comprehensive advice when selecting solicitors, surveyors and removal firms. Who will be showing prospective purchasers around your property? Are the agents’ members of any professional organisations such as the National Association of Estate Agents or The Property Ombudsman? Does the agent present themselves in such a way as to give the prospective buyer confidence that they will deal promptly with problems that may arise? These factors are just some of the critical elements to consider when trying to obtain the maximum exposure and price for your property. To find out how Quealy & Co will put your mind at rest, read the why choose us guide or contact us directly. On instruction, Quealy & Co will make an appointment to visit your property in order to take professional photos, draw floor plans and create good quality sales particulars. For every potential buyer, first impressions count! To achieve that quick, successful sale you may need to spend a few hours making your property look at its very best. Consider addressing those niggling problems you have been meaning to get done, apply a fresh coat of paint if necessary and try to declutter rooms as much as possible to make them look bigger. We will offer advice on how to improve your property’s potential at any point during the sales process. With your sales particulars complete, your property is now ready for maximum exposure across a wide range of media. There are many tools available to Estate Agents to compile a comprehensive marketing package that will entice the right buyer to your property. Instructing Quealy & Co with the sale of your property ensures the full weight of our sales and marketing expertise. Our highly skilled and highly motivated negotiators work hard to ensure that each of our buyers is kept fully informed about properties of potential interest. We telephone, mail, email and SMS prospective buyers on a regular basis. The property particulars we provide are renowned for their quality of presentation, all in full colour with floor plans, energy performance certificates and internal and external views. We also work hard to ensure our website is the most comprehensive and informative in the local market. Here too, homes are shown in full colour, with interactive location maps, aerial photography and a depth of information rarely found elsewhere – schools (including performance statistics), transport links and shopping and entertainment facilities in the area. We include a bespoke comprehensive property pack with a details guide to everything that a buyer will need to know about the local area including schools statistics, transport connections and shopping services. As a significant advertiser in the local press, we really do ensure that every avenue to potential buyers is fully explored. 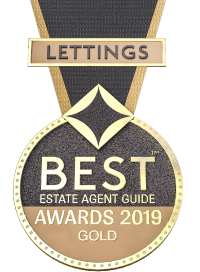 To find out more about instructing Quealy & Co to market your property, call us on 01795 429836 or complete the free valuation form on this site. Showing a buyer around your property is akin to attending a job interview. In order to stand any chance of success you need to know what the employer does so that you can match your skills with those required by the employer. In the same way it is critical that the person conducting the viewing understands why the buyer might want to buy the property. After all what one buyer sees in a property might be completely different to another. Advance information about a buyer's requirements can prove invaluable. At Quealy & Co our sales team are highly trained in understanding a buyer's requirements such that we aim to carefully match a property's features with those that each particular buyer is looking for. We are very happy to conduct all viewings for our clients and in so doing we are able to give our vendors prompt feedback about the viewing after it has taken place. When a buyer is interested in proceeding with the purchase of your property, we will contact you with their offer. Quealy & Co will always present you with the offer verbally and in writing, whilst negotiating on your behalf to get the best results. Any special conditions of the offer will be discussed and presented to you in writing and we will always check the buyers’ ability to proceed before you decide whether to accept the offer or not. If you should accept the offer. If you do not already have a solicitor in mind, Quealy & Co offer a range of conveyancing solutions which vary from client to client, house to house and price to price. Please contact us to discuss your requirements and we will propose the most suitable solution for your needs. The legal transfer of the property from you to the buyer is known as conveyancing. As part of the conveyancing process your solicitor will send out a draft contract to the buyer’s solicitor who will then carry out preliminary enquries. During the conveyancing process, you will need to agree dates for the buyer’s mortgage lender to carry out any valuations or surveys on the building. Your solicitor will also discuss dates for exchanging contracts with you and a proposed date for completion. Our sales progression team will offer help and advice throughout this process and keep you informed of all developments along the way. It is quite normal for a few queries to be raised during this stage and we will always be on hand to negotiate the best results for you. Our experience will prove invaluable during the course of your sale to spot problems early and to knowledgeably deal with survey questions when they arise. Only an experienced property professional will be able to competently handle questions when they arise to ensure that not only your sale completes but that any complications, if they arise, are efficiently handled. Exchange of contracts occurs when all enquiries have been confirmed and agreed. Both parties are required to sign the contract and the buyer will pay a deposit that has been agreed with your solicitor. A completion date (usually 2 weeks after exchange) will also be set by mutual agreement. This formal exchange agrees the terms of the sale and makes them legally binding on both you and the buyer. This means that you are legally obliged to sell the property to your chosen buyer and they are legally obliged to buy it from you. You should ustart thinking about the practicalities of the move – removal companies, storage, notifying utility companies etc. before exchange of contracts. The completion date is the point when residual monies are transferred to your solicitor from the buyer’s solicitor and the property legally changes hands. Your solicitor will usually call to tell you when the money has cleared in their account and instruct us to release the keys to the new owner. Congratulations – your property has been sold.